This autumn, as the leaves change colors here in Durham, North Carolina, we invite you to become guests at our 5 star (according to Hotelz.tv) bed and breakfast. Morehead Manor Bed and Breakfast is in Bull City, where there is so much to see and do when you visit. In 2013, Southern Living magazine named Durham, “The Tastiest Town of the South.” With many award winning restaurants, guests are sure to dine well here in the Triangle. Food trucks are also popular here in Durham. Our guests start their mornings off right here in Morehead Manor with our delicious gourmet homemade breakfasts. We also have excellent shopping venues, including The Streets at Southpoint, Brightleaf Square, and Northgate Mall. Those looking for retail therapy, will find our city to be full of great finds. The Durham Art Walk Holiday Market kicks off holiday shopping and happens the weekend of November 22nd and 23rd. In the mood for an entertaining performance? The Durham Performing Arts Center (DPAC) is within walking distance from our manor. DPAC has regular Broadway theater productions as well as stellar music concerts and hilarious comedians. For example, Friday October 25, Bill Cosby and Comedy Central’s, “Far From Finished Tour” sold out shortly after tickets started selling. Those who like sports will be pleased to find out that “The City of Champions” is home to two major universities. Both North Carolina Central University as well as Duke University. It is football season right now so be sure to “catch” one of our home games. On October 18 of this year, Duke University won their Homecoming Game with a score of 20-13 over Virginia. Speaking of Duke University, the Sarah P. Duke Gardens (pictured at the top) are especially lovely this time of year. Take a walk with that special someone to see incredible landscaping and more of Mother Nature’s beauty. To take a look back at the history of our city, try going on a Historic Tour of Durham. Preservation Durham has saved and restored more than fifty historic properties. 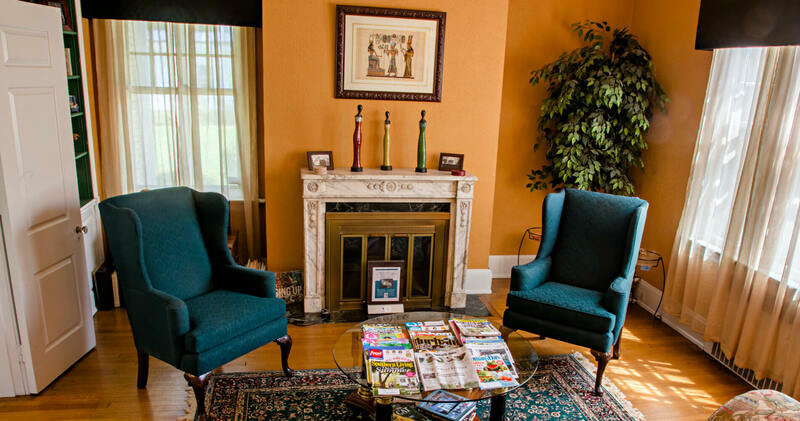 We invite you to be our guests at Morehead Manor Bed and Breakfast. Being located in Durham, there is so much for their guests to explore in this great city! This entry was posted in Uncategorized and tagged City of Champions, DPAC, Duke Gardens, Durham, historic tour of Durham, Morehead Manor Bed and Breakfast, North Carolina, shopping, sports, Tastiest Town of the South by admin. Bookmark the permalink.